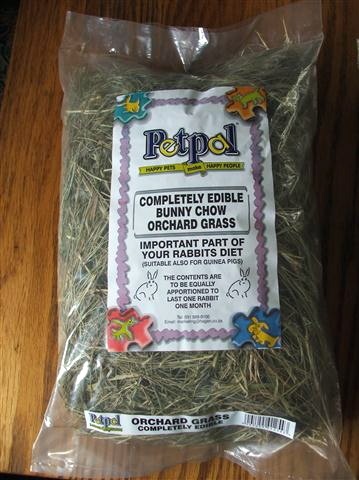 Bunny Chow Orchard Grass provides a natural source of fibre for rabbits and other small herbivores. 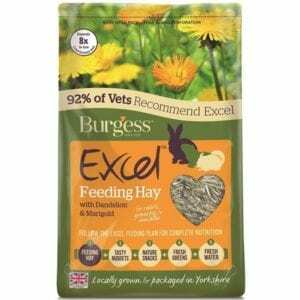 It is a sweet, fragranced grass hay that aids in digestion. 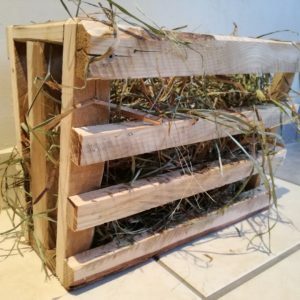 In the wild, rabbits eat grass which, in its dry form, is simply hay. It is for this reason that Bunny Chow Orchard Grass should be available at all times. 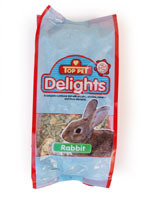 Lower in calcium and protein and higher in fibre, it provides what the rabbit needs without the added calories. 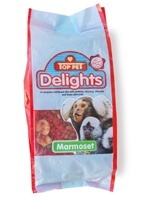 Purchase this product now and earn 55 Paw Points!